Just for the record, the five most dangerous words when it comes to your health is “Maybe it will go away”. “Put Three generations of pain relief behind you” Today. Sarah came to see Dr. Gary Harcourt for chronic TMJ issues that she had dealt with for about 10 years. The chronic TMJ lead to headaches, neck, and shoulder pain. The pain got so bad that Sarah couldn’t open her mouth to eat a sandwich and she lost the ability to fully turn her head from side to side! Sarah previously tried many other options to relieve her pain, including muscle relaxers, Ibuprofen, mouth guards, and even researching surgery options. Sarah was looking for a non-invasive alternative when to her surprise – she discovered that Dr. Gary treats TMJ! Within four months, Sarah noticed a dramatic improvement. She can now eat sandwiches and wake up in the morning with no pain! Sarah suggests everybody give chiropractic care at Dr. Gary’s office a chance before looking into medications or surgery. Danielle suffered from severe neck and shoulder pain that caused headaches, vertigo, and anxiety attacks. Not only did it prevent her from being able to work, the pain also kept her from participating in her family’s active lifestyle. A series of doctors and specialists as wells as blood work and medications provided no relief—no one could give her answers. After experiencing chiropractic treatment, Danielle graduated from care with 94% improvement! It’s important to remember that chiropractic is about more than just treating backs! Derek’s mother, Megan, started at Harcourt Chiropractic Office as an employee in 2002. She suffered from allergies and was taking over the counter allergy medication every 6-12 hours. However, they did little to help. 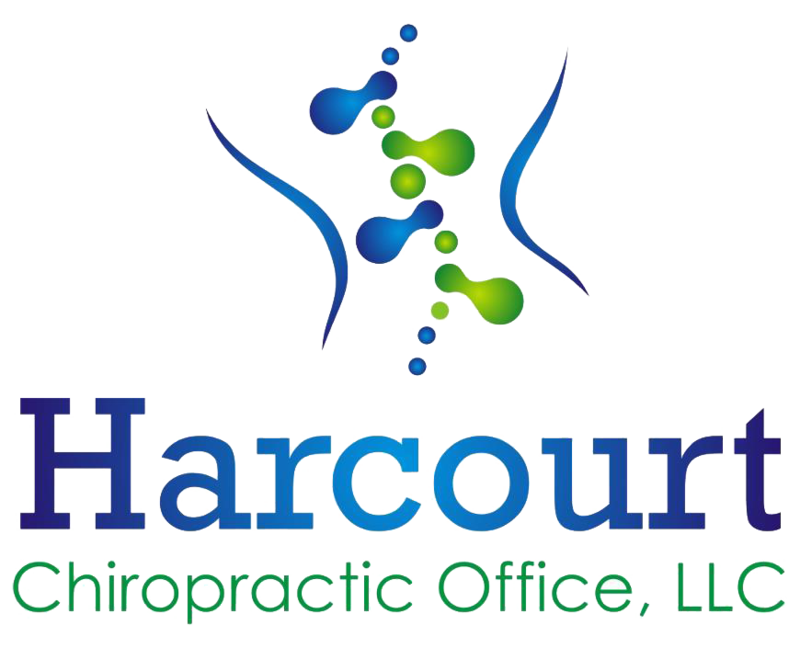 She received tremendous relief from chiropractic care with the help of Dr. Harcourt’s treatments. When her young son, Derek, began having severe headaches in 2015, she brought him into the office. Derek’s headaches were about an 8 on a pain scale of 0 -10 and were often accompanied by vomiting. The treatments he received helped him to have fewer headaches over time, eliminating the need for medication. Megan and Derek are both doing very well and come in for maintenance adjustments to ensure their health and well-being. Megan often suggests chiropractic care to others, as she has seen first-hand the difference it can make. Peyton is an 11-year-old hockey player who came in to see Dr. Gary Harcourt for low back pain and headaches. Before he came in, his headaches would get so painful it would make him cry. Peyton’s parents would give him Aspirin or Tylenol for his headaches but it didn’t really help the pain to go away. After seeing Dr. Gary, Peyton feels more relaxed, has fewer headaches, and his lower back feels much better! Alice Ann had aches and pains. Just not feeling that great. Not sleeping well, tired all the time. She had constant daily headaches which were very painful. Neck pain, shoulders tight, and feeling run down. She went to her family doctor and was put on medication, did a sleep test which was not helpful. She just wasn't feeling better and wanted to try something else. Started sleeping through the night soon after starting care. She comes in for adjustments and notices she just feels a lot better when getting periodic care. She appreciates the doctor and staff for their service. Tyler suffered from shoulder pain for three years before coming to see Dr. Gary Harcourt. After massage therapy and physical therapy yielded no relief, Tyler trusted Dr. Harcourt’s chiropractic care to finally get rid of his shoulder and back pain. Treatment at the office provided Tyler with 0 relief so that he is able to perform everyday tasks without any discomfort. Tammy had terrible tightness in her neck with pain. She had splitting headaches at night and she couldn't sleep on her stomach. She couldn't turn her head and had very limited neck motion. Had been to other chiropractors with little help. A lot of people who were pleased with their care here, referred her to our office. Her pain was a 10 on a scale of 0 - 10 on a daily basis. Medication didn't help. She can turn her head now with no pain. Her neck is flexible now. She says to give Harcourt Chiropractic Office and Dr Gary Harcourt a try. TMJ pain, headaches, neck and back pain. At 18 years old she was suffering with pain at a 9 on a scale of 0 - 10.Had previously seen her family doctor, dentist and another chiropractor trying to find a solution for her pain. She was at a point where she felt almost hopeless when she came in.She was soon feeling better and with in a few months was pain free.Was in auto accident a year later ended up with whiplash. Started treatment and all of her injuries resolved. Now she is feeling pain free. Maintenance visits help to keep her that way.She is very grateful to work at HCO and loves helping patients regain their health as she was helped. Naomi couldn't move her neck, she had severe headaches, her hips were out of alignment, shoulders very tight, in constant pain for years. She had seen other practitioners with little help. She feels "amazing" now. Now she has movement in her shoulders and neck the way it should be. Other people notice she can now move her neck normally again. She's feeling healthy again and 100% better now. She appreciates the doctor and staff at Harcourt Chiropractic Office in York PA working as a team to help her achieve health.